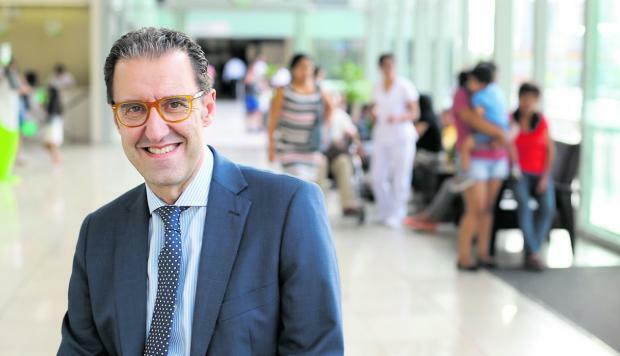 When the Ricardo Palma Hospital, in Lima, Peru, became part of the large private Spanish hospital group Quirónsalud in December 2016, it marked the first time the Spanish network had expanded beyond its borders. The alliance happened to come two months after Quirónsalud’s own acquisition by Fresenius Helios, a German healthcare network that already was Europe’s largest publicly traded healthcare provider. Together, Quirónsalud and Helios now qualify as the largest European hospital group, with a combined total of 156 hospitals and another 367 outpatient centers in Germany and Spain — and now Peru. Why did Quirónsalud decide to expand outside of Spain? The company had grown a lot within Spain — we’re present across nearly the entire territory, with eleven hospitals in Madrid, seven in Barcelona, and two in Sevilla. Expanding was a logical consequence. We looked for a market where we have a connection. Latin America was a very natural option to grow our line of business because we have the culture and the language — that helps a lot. Within Latin America, we considered various alternatives: There were options in Chile, Colombia, and here in Peru. But for various reasons that have to do with the country itself and the level of presence of other foreign companies in the country, we picked Peru. On top of that, there was an opportunity that emerged to be able to form an alliance with a hospital like the Ricardo Palma Hospital, which we had a lot of respect for. It was a process that lasted close to four years — this wasn’t something that was sudden nor an agreement that was put together quickly. It is a strategic alliance that was the result of much study and analysis between the old owners of the hospital and the Quirónsalud group. What's the hardest thing about forming an international alliance? The hardest part is finding the right candidate. It’s complicated to find that hospital that, because of its trajectory, spirit, vocation, and vision, shares the values of an organization that wants to partner with it. In that respect, we were very lucky. We were looking for an institution in the private sector within Lima that was clearly a model. And we wanted a hospital that was a complex clinic, not one that just had low complexity cases. We needed to find an institution that has all these characteristics in the right moment. The hospital, of course, has to be in a country that you're interested in, and it has to be willing to establish a strategic alliance. There are a lot of hospitals that are very good but that want to continue to function in an autonomous manner, which is totally acceptable. So you need, in the end, a kind of perfect storm for something like this to happen. That's why it's important to look at a lot of alternatives and not just limit yourself to one country initially. You have to say, “Let's see where else we can set ourselves up.” We looked at Lima, but if it wasn’t happening in Lima, we may have had to look at another country. Why did it take so long? You said negotiations took four years. I was not directly involved, but negotiations just take a long time. You have to make proposals, you have to make detailed analyses. You have to add in the distance factor — meetings took place in both Peru and Spain, which isn’t as quick as if they took place within the same country. And every country has its own rhythm. What do you see as the longer-term value of the acquisition? We don't just see the opportunity in the Ricardo Palma Hospital, but rather an opportunity, if the economic circumstances of Peru and of the health sector go well, for us to cover other niches within the health market here. I would like to be very cautious about this, though, because we have only been in this hospital for four months. We have some very clear objectives for this year. When we evaluate how the year went, it will be a good opportunity to sit down in Madrid with the leaders of the group and consider a strategy for the future and what Quirónsalud’s role should be in Lima. A third of the Peruvian population lives in Lima, so we would begin here and then think of other alternatives. This also depends on the opportunities that present themselves. Peru is one of the countries in Latin America with the greatest potential for growth. And the health needs of the population here are still largely unmet. There is a statistic here: People say that Peruvians do not go to a doctor for nearly half of their health needs. It is very important that as the economy grows, the population benefits from this growth. When the middle class begins to seek healthcare and health insurance, I can tell you that the structure of private hospitals here in Lima will be insufficient to meet the demand. Positioning in Peru right now is strategic positioning to be here for the future; to be in the right place at the right time and able to take advantage in that precise moment. The prognosis is that in the next year and half the economy and the health sector will pick up again. It is a big opportunity. Those who are here will have the opportunity to grow. Those who are not yet here will have to pay the price of arriving and setting up and getting to know the market — and they will clearly be at a disadvantage. U.S. hospitals are expanding rapidly around the globe. Was this a motivating factor for Quirónsalud to come to Peru, where there is no presence of U.S. hospital groups? No. There is a tradition of relationships between Spain and Latin America because of culture, affinity, and language. I would say that among Spanish companies, their areas of expansion in recent history have been in Europe — because of the European Union — and Latin America. Can you talk a little bit about what are you focusing on at the Ricardo Palma Hospital? This is a very successful hospital. It has a 40-plus year trajectory and stands out as a model hospital in Peru. With the entrance of Quirónsalud, with an ownership of 50 percent and management of the hospital, we are trying to implement a management style we have in Spain. When we looked at ways we could optimize the hospital, for instance, we found that there were clear gaps in the patient attention process. We are concerned about how the entire process goes for a patient from the moment they arrive and check in, are seen by the doctor, go for different clinical tests, and then pick up their prescriptions. This process has to be clearly coordinated with minimal wait times. What we found when we arrived was that in each and every one of these parts of the process, there were significant wait times, and that this has been a source of dissatisfaction among the patients and their family members who accompany them. This was the first point where we really focused our attention when we arrived. Whoever is waiting to check in or to pick up a prescription should never wait more than five minutes, and the normal wait time should be between one and two minutes. We are also in the process of changing the appearance of the hospital. We are receiving proposals right now. It’s fine now, but we want the first visual impression patients get, from when they first walk in the front door to when they sit in any of the waiting rooms, to be that they are in a modern and inviting environment. We are also going to work very intensely on everything that has to do with information systems and electronic records. With the exception of the emergency department, which works with electronic records, everything here is still done on paper. During 2017 and 2018, we want to implement an electronic records system based on our group’s model. This will allow us to establish an integrated communications system. If a patient is seen here and in the future goes to Europe and needs some type of a procedure at one of our hospitals, the European hospital won't have to begin from scratch. Will this kind of coordination extend to the clinical level? Of course. In our hospitals we have collaboration on an as-needed basis. If professionals here want to go to Spain to learn a specific technique, we can help them do that. And if we develop a technique here that could be interesting for professionals in Spain, they could come here and learn. It's difficult because of scheduling, with the seven hours of time difference between here and Spain. But an environment of collaboration is going to be very permanent on all levels. How might the hospital evolve, going forward? There are three vertices around which a hospital should revolve: treatment, teaching and research. The most important part is the treatment. But what sustains a hospital is teaching and research. Our interest as we look towards 2018 is to incorporate teaching here. We have a central location and great medical knowledge within the hospital. We need to take advantage of the fact that we have some of the best professionals in the country in many specialties, so that doctors who have recently graduated from school can train in a specialty here. And we should take advantage of the opportunity for this training to not be complemented with just a single vision of one country’s reality. We should take advantage of the possibilities that the group gives us in Spain to be able to send specific professionals to complete pieces of their training in hospitals in Madrid, Seville and Barcelona, where we have world class specialists.